Black sweater with silver and black beads and sequins. Condition: good vintage condition. 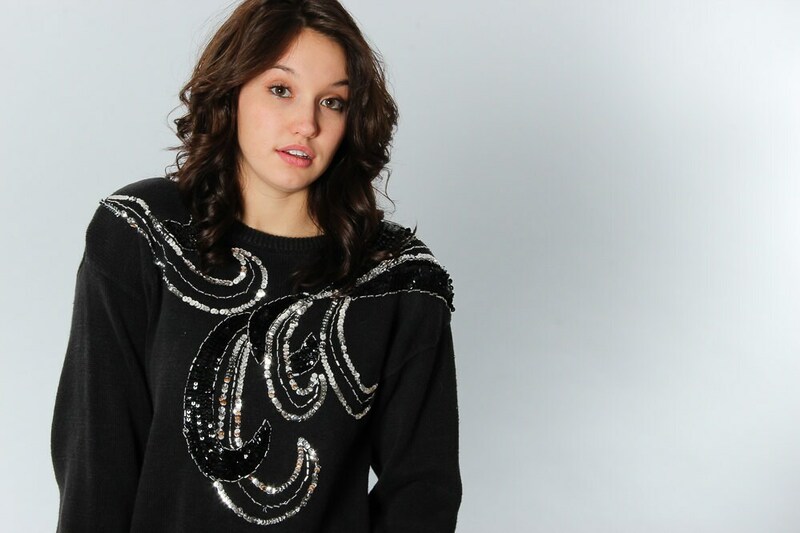 There are some loose sequins, and the black color of the sweater looks to be a bit faded. The inside tag is frayed, but is not shown from the outside.